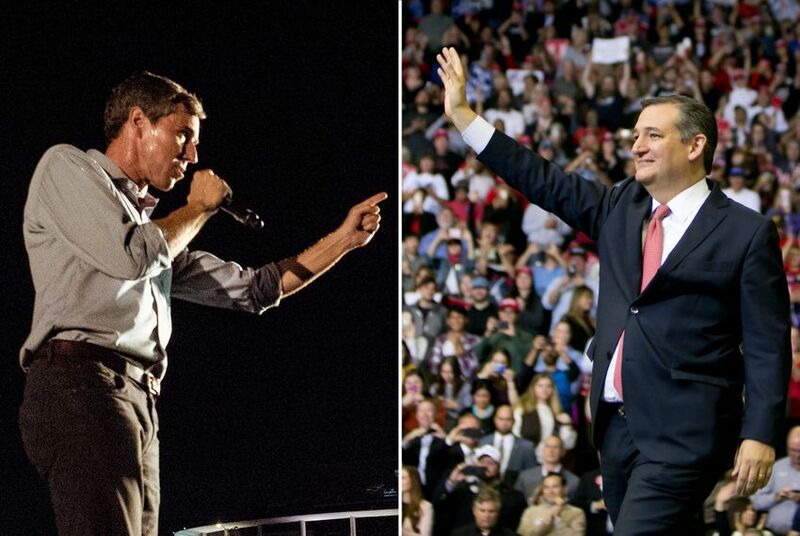 U.S. Sen. Ted Cruz won re-election in 2018 against Democrat Beto O'Rourke by about 2.6 percentage points. Here's a look at the margins of victory for every U.S. Senate election in Texas since 1961. Editor's note: This story was updated on Nov. 14 to reflect the outcome of the 2018 U.S. Senate race. Democrat Beto O'Rourke fell about 220,000 votes short out of more than 8.3 million cast in his bid to unseat U.S. Sen. Ted Cruz, R-Texas. It was the closest a Democrat came to winning election to the U.S. Senate from Texas since 1988. U.S. Senate terms last six years. Their terms are staggered so neither seat is up for election at the same time. Texas is currently represented in the U.S. Senate by John Cornyn and Cruz. Texas was a solidly Democratic state for decades. The state's shift to Republican began in 1961, when John Tower won a special election for U.S. Senate, becoming the first Texas Republican elected statewide since Reconstruction. For the next three decades, Texas had both a Democrat and a Republican representing the state in the U.S. Senate. The Republicans that followed Tower were Phil Gramm, Kay Bailey Hutchison, Cornyn and Cruz. Lloyd Bentsen was the last Democrat elected to the U.S. Senate from Texas in 1988. Bentsen originally won the seat after defeating incumbent Yarborough in the Democratic primary in 1970.